VOCAL is a small independent advocacy organisation operating in South and West Devon that helps adults with communication difficulties to understand and exercise their rights, make informed choices and speak up for themselves. This includes people with learning disabilities, brain injuries, dementia and mental health issues. More about what we do is included in our annual report. 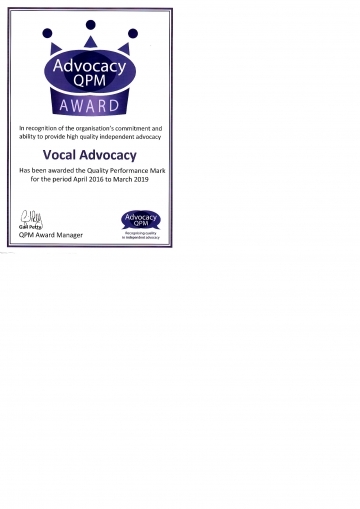 Vocal has been awarded the Advocacy Quality Performance Mark (QPM) by the National Development Team for Inclusion (NDTi). 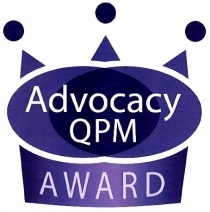 The QPM is the only quality performance mark for organisations offering independent advocacy. To gain the QPM advocacy providers have to undergo a rigorous self assessment and a policy review. This is followed by a structured site visit by NDTi assessors. The Quality Mark is only awarded to advocacy organisations who can demonstrate that they are providing excellent services. 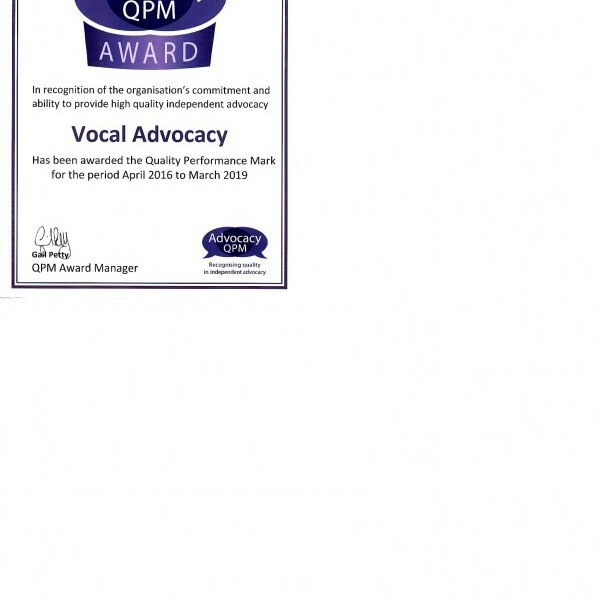 Vocal is incredibly proud to have achieved this award and have its work validated in this way. The award is valid until the end of March 2019. If you would like to see Vocals report click here. We rarely need to appoint but at the moment we have TWO vacancies !